Female factory workers develop new skills thanks to Plan W from HP and its partner Diageo. The women who power China’s factories can often face tough odds in getting ahead. Along with the long hours and poor working conditions that both sexes sometimes endure, Chinese women frequently face gender discrimination, sexual harassment and inadequate access to health information and services. Migrants for the most part and less well educated than men, they have fewer opportunities for promotion. In fact, while women in China make up 57 percent of the country’s overall workforce, they earn nearly 33 percent less than men in cities. But China’s female workers have the potential to change business and communities for the better. With training, women workers could have an outsized impact as independent wage earners and consumers. And unlike the first few waves of factory workers who left their rural homes to find work, today’s young female employees don’t just want to earn a living, they want to learn and advance. That’s where programs like Plan W come in. Developed by HP’s customer Diageo with the support of HP, Plan W is designed from the bottom up to provide the training and practical skills, from effective communication to time management, that women in factories can use to get ahead, become leaders and provide mentorship to workers around them. Plan W is just one of the initiatives that HP, working with its customers and nonprofit partners, is fueling around the globe to improve the safety, health and financial security of the workers in its suppliers’ factories. Other programs targeted at women provide training on managing personal health and finances, including how to open bank accounts and control their own money instead of turning it over to fathers or brothers. HP believes that promoting diversity and empowering employees within its supply chain strengthens its business, drives innovation and improves local economies. Thousands of suppliers on six continents have a hand in producing HP’s products and bringing them to market. Through programs like Plan W, HP aims to improve the skills and well-being of 500,000 employees in its supply chain by 2025. 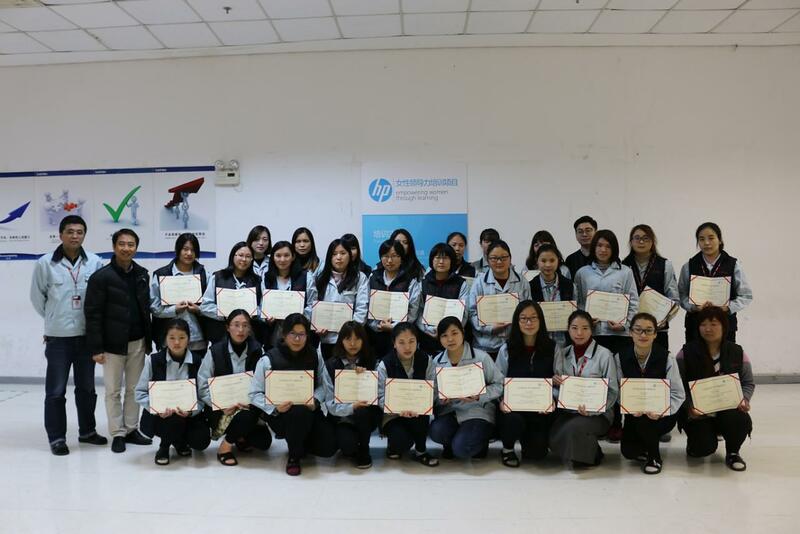 In 2016, 12,000 women in supplier factories received training and education through initiatives including Plan W. Overall, 45,700 employees of HP suppliers participated in 14 projects in five countries in 2016, bringing the total to 123,700 workers since 2015. Li Juan Juan is a prime example. A dozen years ago, Li moved 500 miles south from a coal-mining region to work for Delta Wujiang, a power supply manufacturer near Shanghai. While she rose up the ranks to become a senior production leader, Li still struggled with the demands of her job. Then, in 2016, she was invited with co-workers to take part in a series of classes that taught business skills including problem solving and decision-making. Being hundreds of miles away from their homes and families is partly why this business learning curve is much steeper for women. “Factories employ a lot of migrant women workers, many of them very young, who don't really know each other and don't have an easy way to connect or share knowledge,” says Lin Wang, a director at BSR, the nonprofit that runs the Plan W training project. Investing in women like Li pays off. Research shows that when women are healthy, educated and empowered members of the workforce, both their children and their communities benefit. For companies, says Wang, developing the next generation of skilled supply-chain leaders boosts loyalty and reduces turnover and absenteeism. 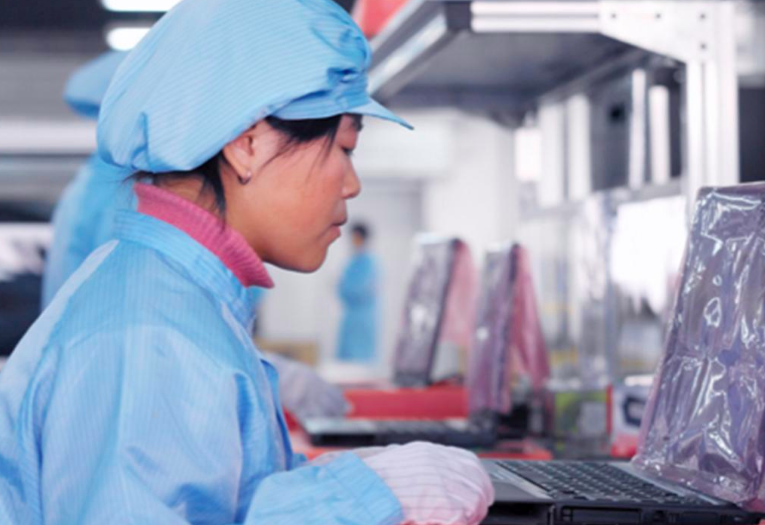 To make the program that helped Li a reality, HP teamed up with Diageo to develop a curriculum for 12,000 women at five factories in China. Peer educators are also trained to mentor fellow employees and spread the training’s lessons. The in-person classes are primarily offered over six to eight months. The two companies worked together to design the training, identify factories and supervise the curriculum’s rollout. The collaboration demonstrates the impact that partners who share objectives can achieve. The partners aim to expand the program to other factories — and eventually have the factories run the projects themselves, says Wang. One of the biggest challenges they have to tackle is convincing factory owners that the long-term benefits of the training are worth carving out time during shifts for the classes. Learn more about Plan W and women's empowerment.